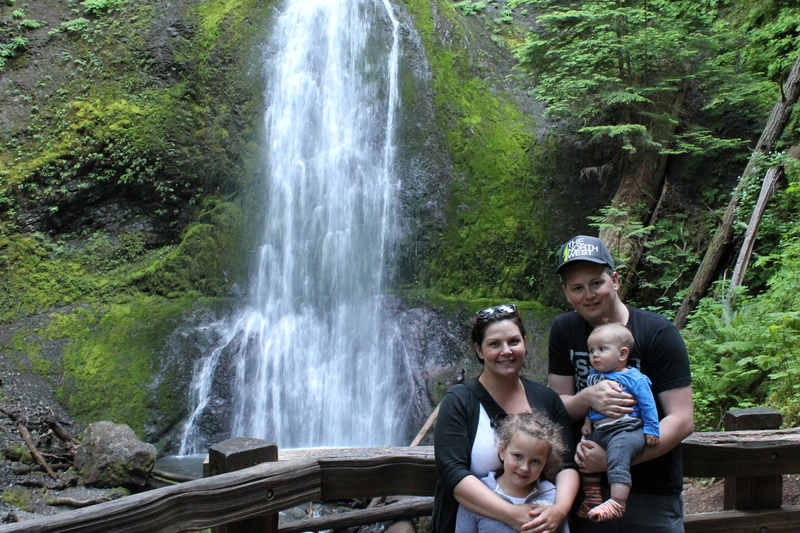 The Tribe has returned from a great adventure to Washington State’s Olympic Peninsula. Their tourism board has partnered with The Zone to give away a trip. The promotion is called Get Off The Rock. All week at 4:10 (2:10 on Friday)…I’ll be playing an excerpt from Madelyn’s Adventure Journal and then asking you an easy trivia question based on what you heard. Get it right, and you’re in the draw for a trip to the North West. The prize will be like the trip my family took (but the value will be based on a trip for 2). Our adventure began at the Black Ball Ferry in Victoria’s harbour. We drove the car on and took the boat across. We arrived in PA and hit the Safeway for provisions (when you’re out in the Olympic National Park you are far from a grocery store…) What? $7.99 for a 6-pack of Deschutes Mirror Ale? OK, better get two. We had crepes at La Belle Creperie…right in the vortex of Port Angeles. 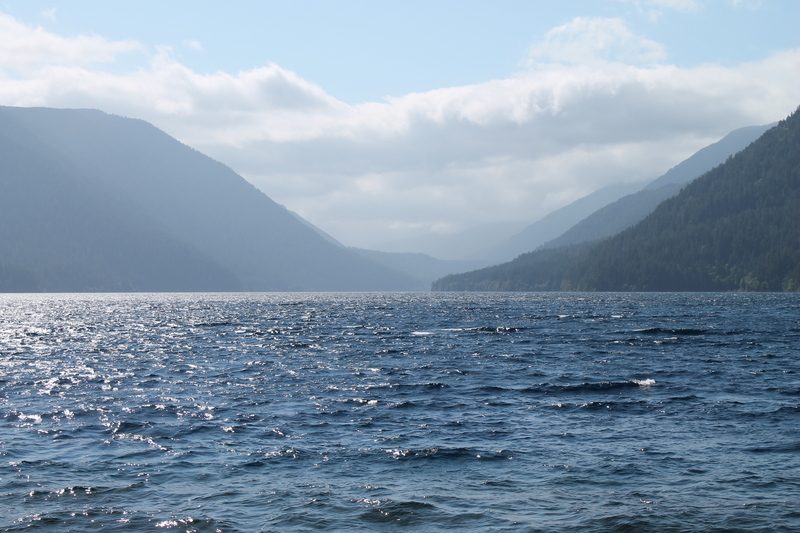 Then it was off to Lake Crescent and an easy hike up to Marymere Falls. 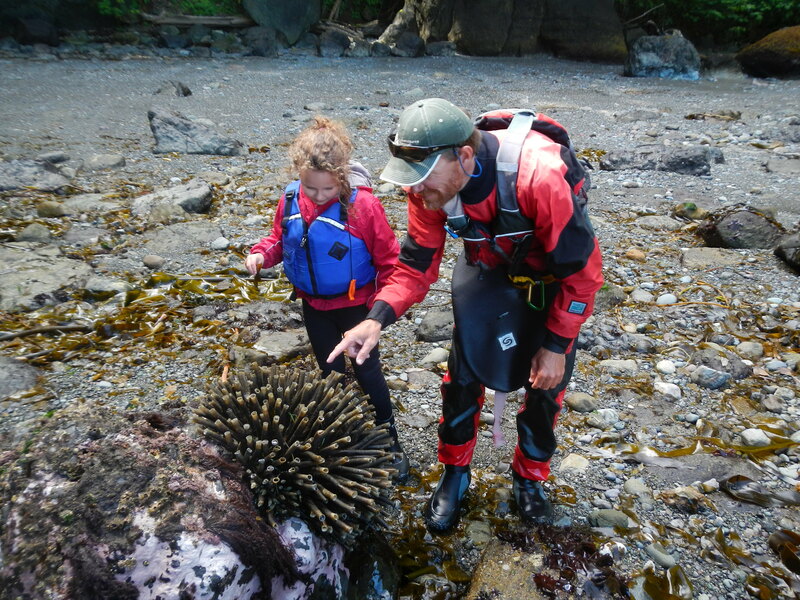 My wife Coral and I had no problem wrangling our 6-year-old and a baby along the trail. A bit of a climb right at the end, but some cardio is good and there is a waterfall at the end. If you got the time…spend some time at the lake. The water is turquoise! We didn’t get a chance to eat at the Lodge at Storm King, but all the locals talked about a new chef and the greatly improved menu with a focus on local. 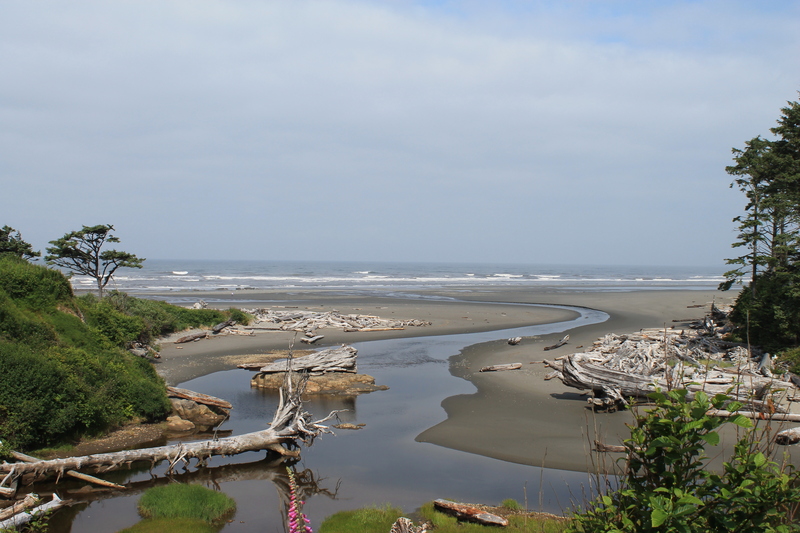 The we cut hard across the peninsula to end up at Kalaloch Lodge. Wow. Huge sandy beach that stretches for miles. Intertidal marine life. Rain forest. Beach fires. Good times. We checked in to a cabin that overlooked the ocean. Dinner was at the lodge. Good food, great beer selection. The next morning was exploration on the beach and then breakfast at the lodge before making our way to Hoh Rain Forest. 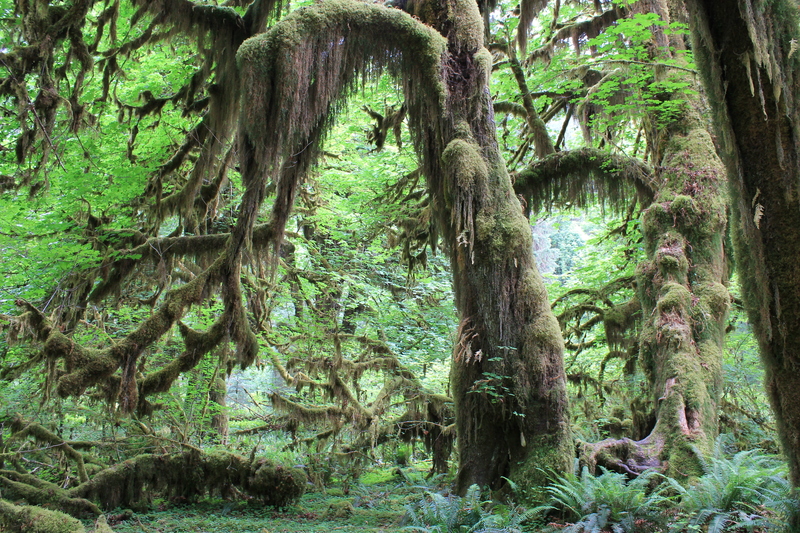 Hoh Rain Forest will remind many of us Islanders of the forest in our neighbourhood…just more medieval. It rains a bunch there…so pack your gumboots. We found some coffees on the road into the forest at the Hard Rain Cafe. Also an excellent selection of stickers. After our rain forest hike we took the family into Forks for lunch. Madelyn and I hit the Logger Museum. She had a great time looking at all the olden days stuff. 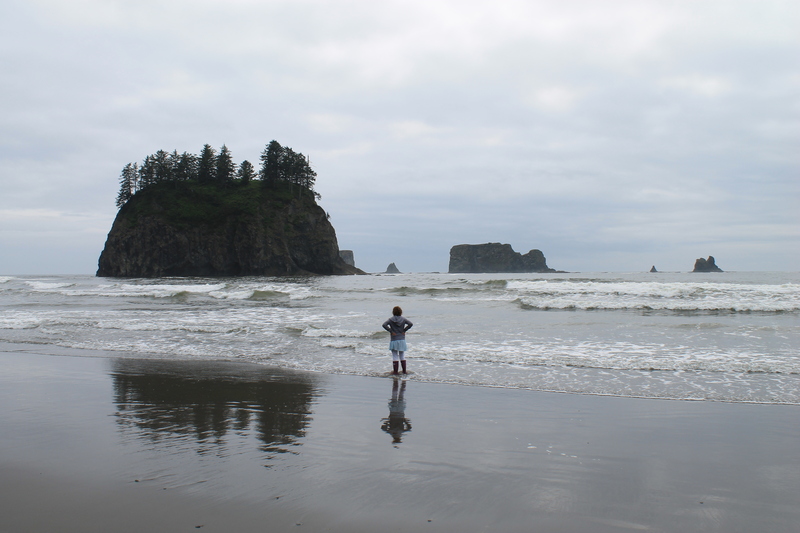 Then we headed west to La Push. Our resort in La Push was similar to Kalaloch. A cabin by the sea. The place is called Quileute Oceanside Resort. It is a collection of cabins right along first beach. Our standard cabin had a couple bedrooms, lots of space for my wife, the kids, and myself! Make sure you spring the $5 for a fire permit! Nothing like s’mores on the beach while watching the surfers. We drove our car to the trailhead at Second Beach and wandered down. Lots of stairs, you’ll get the heart beat up for sure, but we managed with the kids. Dinner was back in Forks for us. There is a little store, but not much in the way of a town. So pack in some food or drive the 20 minutes into Forks. We ate pizza at Pacific Pizza. Deschutes on tap? Yum. On to day 3! 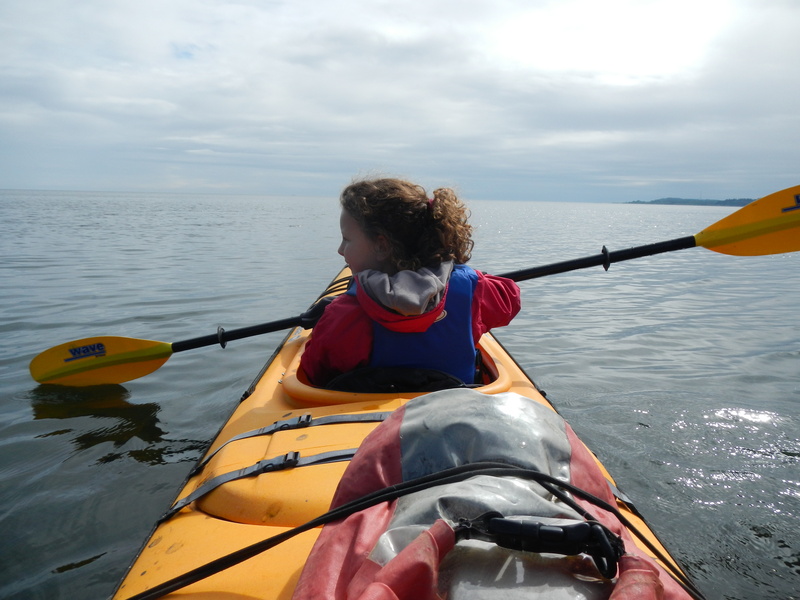 We drove back across the peninsula to Port Angeles to Adventures Through Kayaking for a tour of Freshwater Bay. Our guide David was amazing with Madelyn. We saw all sorts of sea life including an otter! At one point…we beached the kayaks to explore the beach during low tide. A highlight of the weekend for sure. Then we were off to the small village of Joyce for a burger at the Blackberry Cafe, and maybe a slice of home-made pie. Finally a tour of their 103-year-old General Store and the town’s museum. What a trip! While waiting in line for the ferry we hopped over to the Feiro Marine Life Center. It is right beside the Blackball Ferry Terminal in Port Angeles and a great way to wait for the boat. Madelyn loved exploring their pools of salt-water marine life. If you are fortunate to win this trip from The Zone, you are in for one heck of an adventure. We’re already excited to head back. Details of the contest are HERE.